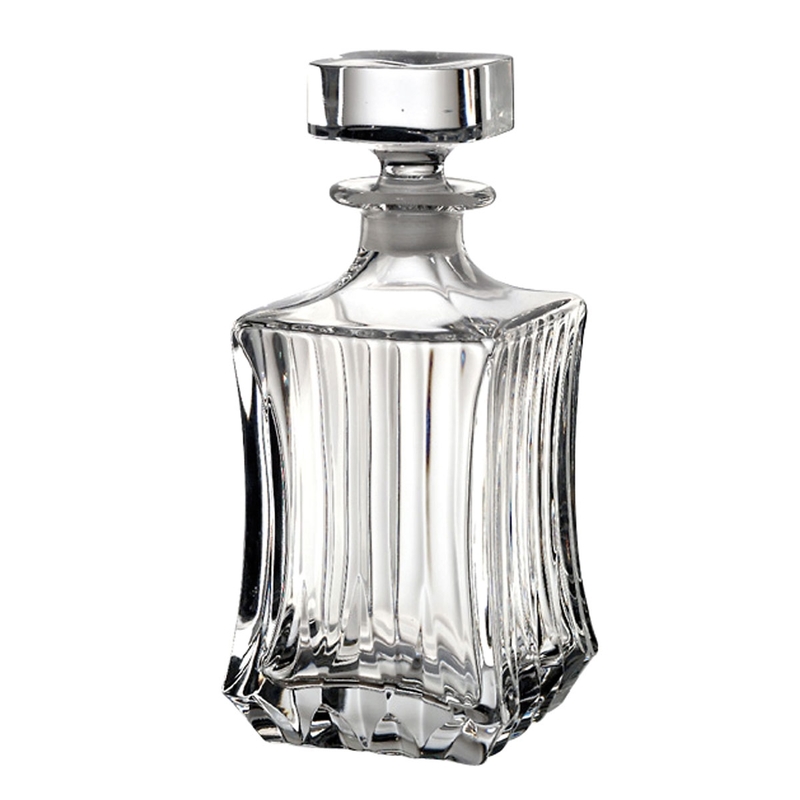 RCR Adagio Collection Crystal Square Decanter. This modern line cut crystal decanter is made in the Tuscan region of Italy. Add elegance and sophistication to your table with this great looking decanter. Measures 3.5" x 3.5" x 9" holds 26 ounces of your favorite beverage. Dishwasher safe.